Remember my post about the package I got from Darla for the fourth edition of Blogging By Mail? 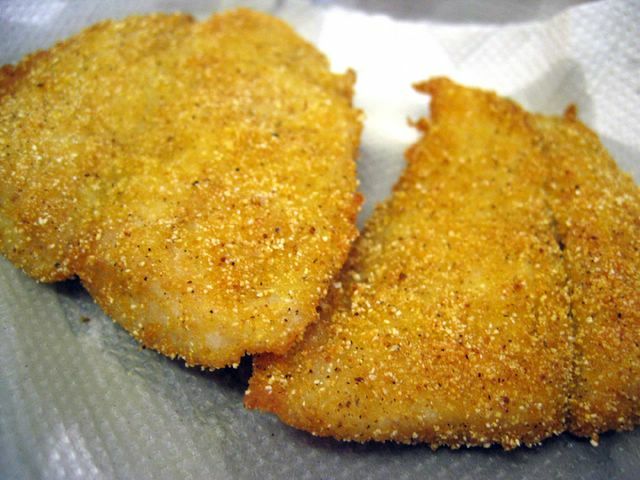 One of the items she sent was the Louisiana Fish Fry. It’s basically a seasoning for fish or meats. How do you use it? All you have to do is coat your fish with the fish fry, then erm, fry it. Haha yes it’s that simple. My dad has been using loads of it. Apparently he’s a huge fan! I’d have to say that I do agree with him. It gives the fish a crunchy feel – because of the crust I think. Not sure what it contains but it’s like a miracle powder to my dad. He’s been asking me where to get more (as of now, i think he’s used up the entire packet!). Oh, he also used it on chicken meat and it tastes fantastic. Now now, where do I find this fish fry here? Anyone knows? I don’t think it is available to buy in Singapore. However, there’an online store for it (Your link).. maybe you could email them and ask them if it was possible to buy and ship to singapore? Maybe vpost would work too? Some of the other products they have are pretty good too, like the bbq shrimp one (its really awesome with a nice fresh baquette to mop up the sauce), and the etoufee. I see some of them in the grocery stores, so if you had friends in the US, you could possibly just get them to buy and ship to you but buying direct from there might be cheaper. It was around USD$2+ at the store near me compared to their USD$1.75 per package. Good luck! Hummm…I like very much this “pescado frito”. 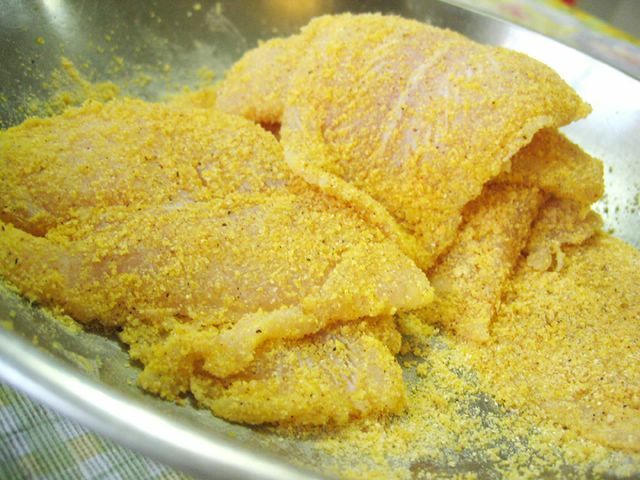 Mix the above thoroughly and dredge your fish fillets [season it with some salt and pepper before] in it. We used that mixture for 6 tilapia fillets. The trick for good fried food is the temperature of your oil. We did our frying at about 375 deg F.